Carpets are among the biggest investments you make, after your house and your car. They are expensive and are critical to the overall appearance and comfort of your home. Deciding on the carpeting for your house is not easy. You need to choose a carpet that suits your needs, your budget, as well as the interior décor. You need to decide on the colour, the pile, the fibre and the style, and it is not easy considering the mind-boggling variety and range available to today’s consumers. One of the most important factors you have to take into consideration is the type of fibre you would like. There are plenty of choices available for the discerning homeowner, so let’s look at the most popular fibres for residential carpeting. Knowing about the basic characteristics of the popular fibres will help you in deciding about your carpet. Nylon reigns as the most preferred fibre for carpets. It is widely preferred due to its durability and longevity. All good manufacturers offer guaranties on the life and the appearance of the carpets. Another very attractive feature of nylon is that it is highly abrasion-resistant, with the high-grade variety even surpassing wool in performance. Nylon fibre has very good yarn memory, meaning it does not mat down and looks good even in high traffic areas. The hydrogen molecules present in nylon endow it with good bounce-back qualities, elasticity and resilience. Nylon responds well to professional deep cleaning and steam cleaning, emerging refreshed and looking as good as new. Nylon carpets are available in brilliant colours, are colour fast and have excellent stain-resistant qualities. A major drawback of nylon is that it is synthetic and off-gases. Advancements in technology minimize the risk to a great extent and strive to make nylon safer. Keep a clean and healthy environment! Get professional help through our carpet installation service. Wool has been the preferred fibre for carpets for centuries. There are several factors that contribute to making wool the most luxurious and the royal among other common fibres. 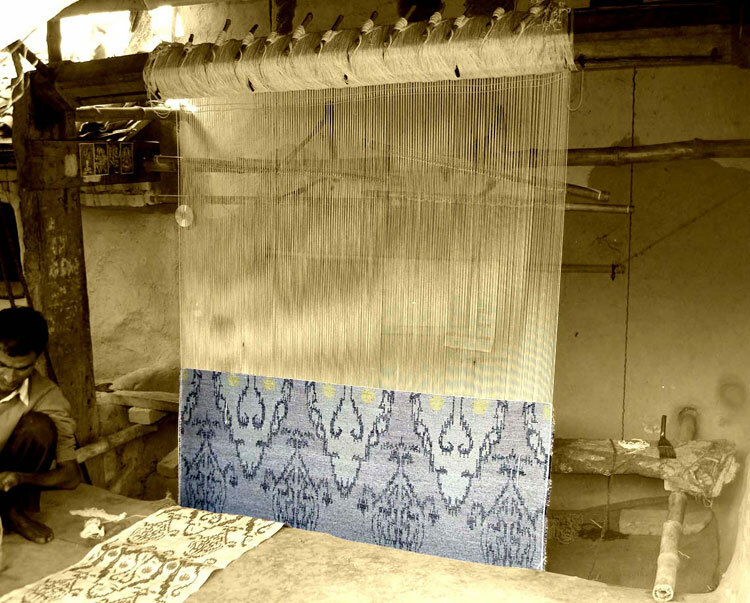 The centuries-old woolen carpets which are now prized possessions of collectors bear testimony to the longevity and the durability of wool. There are several inherent qualities that make wool stand out. Wool is natural, eco-friendly and bio-degradable. It is also very resilient and strong. The elastic nature of wool makes it suitable for high-traffic areas. It does not wear or flatten easily in areas with high footfall. The scale-like structure of carpet fibres traps dust, dirt and other indoor pollutants. While washing, the woolen fibres swell and release all the trapped dirt, thus making cleaning procedures highly efficient and effective. Wool is fire-retardant and also helps improve indoor air quality. Wool accepts dye easily and well, and shows up colours in all their beauty and vibrancy. The drawbacks of wool include the exorbitant cost and the comparative low stain- resistance. This is mainly due to the dye and stain-absorbing nature of the natural fibre. Also, wool needs special care and is sensitive to chemical components in cleaning solutions. Olefin or polypropylene carpets are most widely used after nylon in homes. Olefin carpets are cheaper than nylon ones and have excellent moisture-resistant qualities. Olefin has good stain resistance and does not fade easily. The solution dyeing process used for olefin carpets ensures the colours stay for a long period. Moisture does not remain on olefin fibres for long. The water quickly travels to the tip of the fibres and dries easily. This helps retard the growth of mould and mildew. Olefin carpets are preferred in damp places like the poolside or the basement. Olefin carpets are preferred outdoors as well because they retain colour and do not fade easily in the sunlight. These carpets have a few drawbacks, however. Since they are synthetic, they are not biodegradable and tend to off-gas. Olefin is less resilient as compared to nylon. It is not elastic, and is easily worn out and flattened in high traffic areas. Olefin has a very low melting point. Olefin also tends to stain quickly, and is especially vulnerable to oil-based stains. Dark-coloured carpets help mask most of olefin’s drawbacks. Polyester was looked down as cheap and less durable until a few years ago. The latest technological advancements have changed all of that and have made polyester an economical and popular option. Polyester carpets are process dyed. Hence they hold colour well and do not stain easily. They are more resistant to water-based dyes and are vulnerable to oil-based dyes. Polyester fibre is also less affected by moisture and dampness. Since the carpets dry easily there is less damage from mould and mildew buildup. Polyester carpets do not aggravate allergy or asthma, and are safe in homes with kids and elderly people. A major drawback of polyester carpets is that they are not as resilient or elastic as nylon carpets. They wear easily and develop traffic patterns in areas with high footfall. It is very difficult to restore the matted carpet and undo the damage done. This gives a short shelf-life to the carpets and you will be required to get a new one after a few years. Polyester carpets are synthetic and non-biodegradable. A high density short-pile polyester carpet will be suitable for home use. It is a good short-term option if you are planning to renovate your house in the near future or are looking to buy a new carpet once the children move out. Sisal carpets have gained in popularity immensely during the last few years, mainly because they are green and environmentally safe, and are highly durable. Sisal carpets are elastic and are suitable in areas with high footfall. They do not mat down or show traffic patterns. Sisal is also naturally stain-resistant. These carpets do not require intense chemical treatment to be stain resistant. Sisal fibres are obtained from agave sisalana, a cactus plant found in abundance in Africa and Brazil. Sisal carpets can give a great natural look to your home décor. The disadvantages of sisal carpets include that they have a coarse feel and the rough texture may not exactly feel luxurious beneath your bare feet. They are vulnerable to moisture damage and require careful cleaning. Sisal carpets are quite expensive too. Sisal carpets are available in synthetic blends that are soft and smooth to touch. You can check out the options available if you are keen on having a green and eco-friendly carpet. While deciding on the fibre, analyse your lifestyle and unique home needs and choose something that will cater to your family requirements. The new-generation carpets are durable and offer quality and comfort. With timely professional care and daily upkeep, your carpets will last a lifetime.